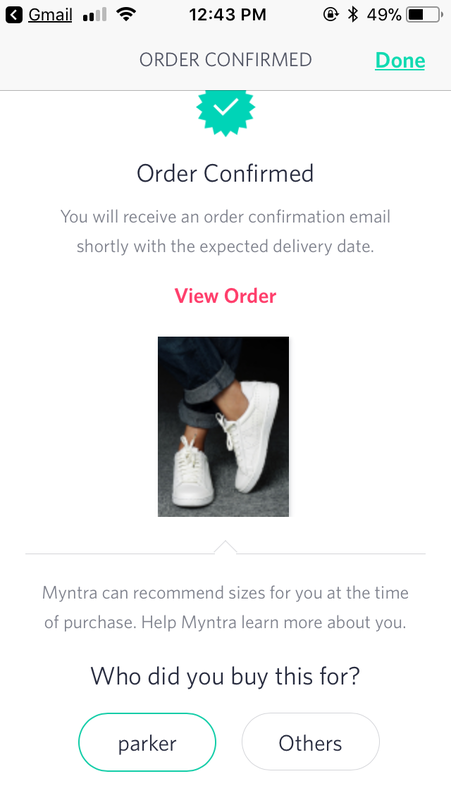 Myntra as name and online e-commerce company based on India is a big time fraud company ,I recently ordered Nike shoes which was available on a app and on webpage ,however after my order got confirm day after delivery guy came to my door step with a box of my shoes when I opened I was excited and was so happy !! As soon as I saw that was not the shoes I have order, I called Customer care and had to speak with one of floor manager ,firstly he was not all interested what I was calling for instead he was questioning me,,I was so frustrated with his behavior and the call end ..after which I started blogging their site and in Facebook with full of my anger ,few hours later he called me back and asked what am I looking for ..I said my Nike shoes which I order ,he conclude saying he checked with Nike brand and his warehouse that shoes was actually not available,instead offer me what I want and then two days later I text back asking what’s the update ,he was ready to answer me since I was approaching them where the hell shoes gone it was available and infact order was confirm , he replied saying the order which was place the bar code on box was available but not the shoes ..holy crap how could he say that being a manager in Myntra that means he is not working for the company,he also mention the picture was available but not the product n also they take the picture from brands n post on the page without being aware whether is available or not ..Lastly I was so tired I asked him same shoes available in black colour get me with 50% discount since being a customer it was not my fault at all ..he said he cannot do it,.I’ll discuss the same with higher authority soon and Myntra will hear from me Soon ..Thank you !! Myntra for the best customer service you have .